On the final leak before he drops his project The Premonition, Franc Grams gets a huge assist from none other than The Game. "Power Of The Dollar" also features Jus Cuz and was produced by Joe Milly. 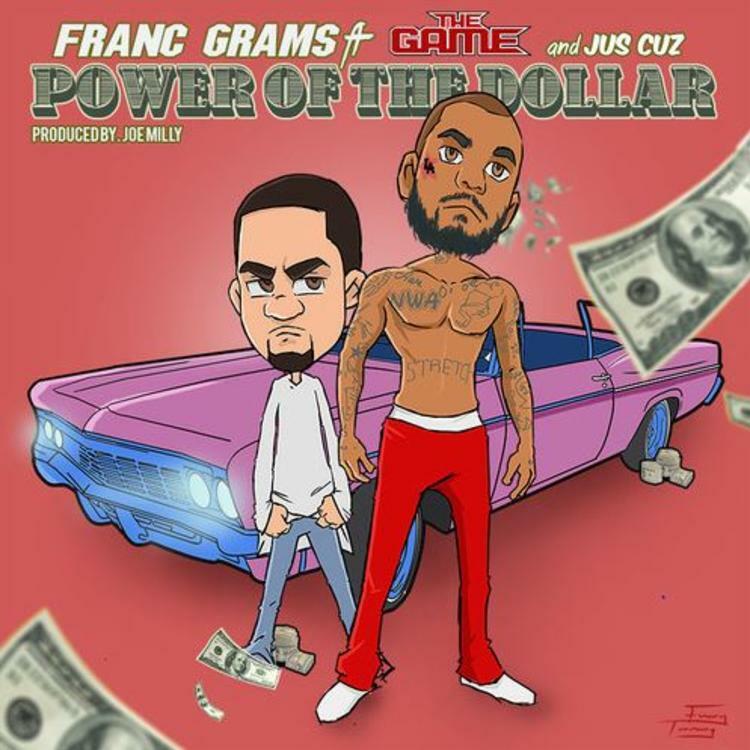 With cartoon versions of Franc and Game glaring at us from the single artwork, the song features strong verses from both of them, especially Game, who remembers the old days with Dr. Dre and Busta Rhymes in his verse. Jus Cuz applies his soulful vocals to the hook and outro, going in above a soaring vocal sample. Things are looking good for The Premonition.